Shadowy “hacktivist” group Anonymous retaliated against the governments of Egypt and Yemen this week in a show of support for antigovernment protesters in those Middle Eastern countries. 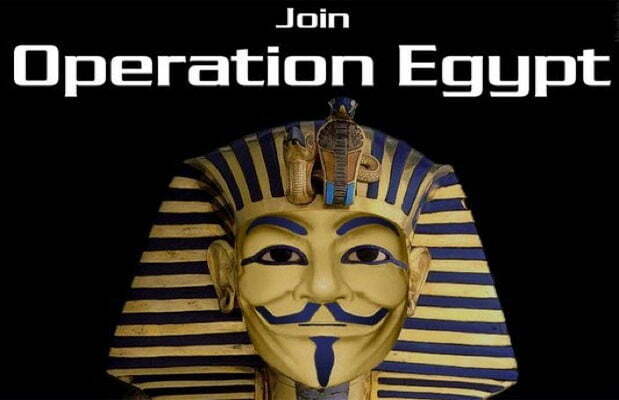 According to a report in The New York Times, about 500 Anonymous hackers managed to shut down the websites of Egypt’s Ministry of Information, as well as that of embattled President Hosni Mubarak’s National Democratic Party. The website take-downs come just a day after Egypt’s Internet service provers brought the country back online after a five-day Internet and mobile phone blackout. It also follows simlar Anonymous-credited attacks on the websites of the Tunisian government, which fell due to uprisings earlier last month. Anonymous followed up the Egypt attacks late Wednesday by taking down the websites of Yemen’s Ministry of Information, as well as Yemeni President Ali Abdullah Saleh, reports Gawker. The strike coincides with a “day of rage” protest in Yemen meant to mimic the protests that have engulfed Egypt over the past week. The loose-knit hacker group, which originated on website 4chan.org, first came into the national spotlight after it launched successful attacks on Paypal.com and the corporate websites of Visa and Master Card, to show its support for WikiLeaks and founder Julian Assange. These attacks prompted an investigation into Anonymous by the FBI. While the WikiLeaks attacks made major headlines worldwide, Anonymous’ most recent round has taken a back seat to the bloody uprising on the ground in Egypt, where protesters continue to face violent opposition from allegedly pro-Mubarak activists. The hacker group has managed, however, to become part of a bigger story about the role of technology in times of political upheaval. Both Twitter and Facebook have played crucial parts in helping protesters get their stories out to the rest of the world. And Google even created a custom Speak2Tweet service, which allowed Egyptians to phone-in Twitter updates while the country remained in the digital dark. Regardless of Anonymous’ impact on the future of the Arab people it supports, it’s obvious that the online realm has become the new battlefield of the 21st Century, where fights between citizen and government can truly be won or lost.